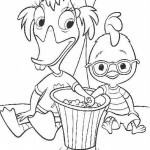 Chicken Little is a 2005 American computer-animated family film loosely based on the fable The Sky Is Falling. 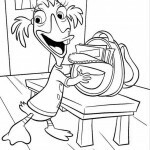 The film was animated in-house at Walt Disney Feature Animation’s main headquarters in Burbank, California, and released by Walt Disney Pictures and Buena Vista Distribution on November 4, 2005 in Disney Digital 3D format along with the 2D version. 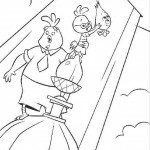 Chicken Little was written by Mark Dindal and Mark Kennedy with the screenplay by Steve Bencich, Ron J. Friedman, and Ron Anderson, and was directed by Mark Dindal. 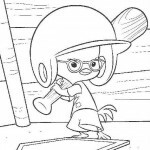 It inspired two video games, and one indirect video game was Kingdom Hearts 2, where Chicken Little is a summonable character, one directly based on the film, the other, Disney’s Chicken Little: Ace in Action, based on the inaccurate movie-within-the-movie depicting Little as a buff action hero. 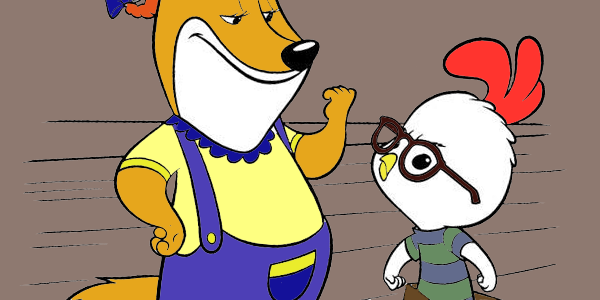 Chicken Little is a small chicken who lives in a world full of talking animals. 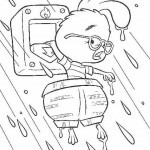 You can find him in between our Chicken Little coloring pages, ofcourse. 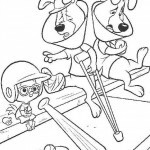 He is very nervous and sometimes does stupid things. 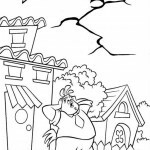 On one day he almost destroys his town by giving a false alarm, claiming the sky is about to fall down! 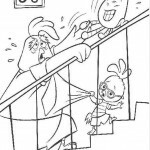 Whether this will actually happen is something you can find out in our Chicken Little coloring pages. 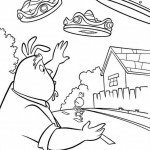 He thinks this because a strange object had landed on his head while he was sitting under an oak. 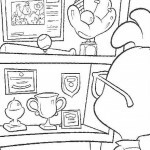 However, he can’t find the object afterwards. 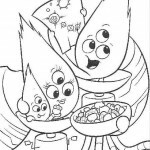 Ofcourse everyone thinks it was just an acorn that fell on his head, which is why they start calling him stupid as he actually thought the sky was falling down. 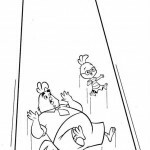 Even a year after the accident, Chicken Little is still being picked on. 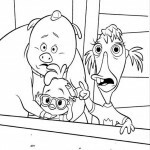 The only friends he has are misfits just like himself; the ugly duckling Abby Mallard, the fat pig Runt of the Litter and the fish Fish out of Water. 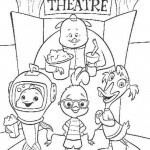 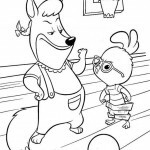 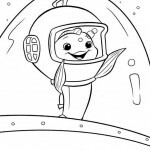 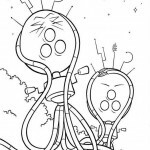 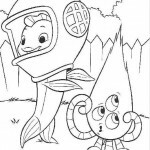 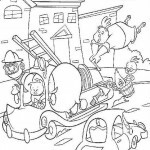 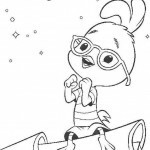 Ready to scroll down to our Chicken Little coloring pages?